The men rowed desperately to evade the storm. And when the storm subsided, their fear of the storm transformed into a fear and worship of God. It’s not that some are desperate and some are not. All are desperate, all are lost, and all are sick. But not all are aware. The storms on the great seas of life put us in touch with our desperate state. Storms humble us and help us to hit rock-bottom. Coming to the end of our own resources can be a wonderfully eyeopening gift in life and ministry. Worship is the heart and life response of the desperate who have found mercy. 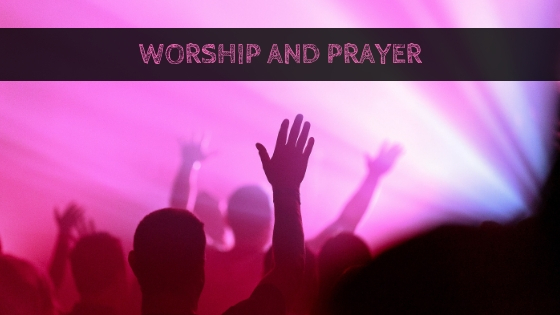 Worship is worth-ship: the surprised and grateful attributing worth to the one who alone is truly worthy. Grace is the prelude to the worship of God just as works are the prelude to boasting of self (self-worship). If the entire process of planting your church is to be an act of worship, every step of that process must be marked by encounters with God’s grace, and not by your works. If you want your people to worship God, then Jesus must be the hero at every turn, and not you. In reality, it truly is God who causes all things to grow healthy and fruitful. So in turn, God uses conflict, pain, and roadblocks to help us see life and ministry through his eyes of grace. Church planting will not, therefore, preclude redemptive pain. In storm and in peace, I worship you, Jesus. You are worthy of my praise for you alone are the giver of all grace. Amen.